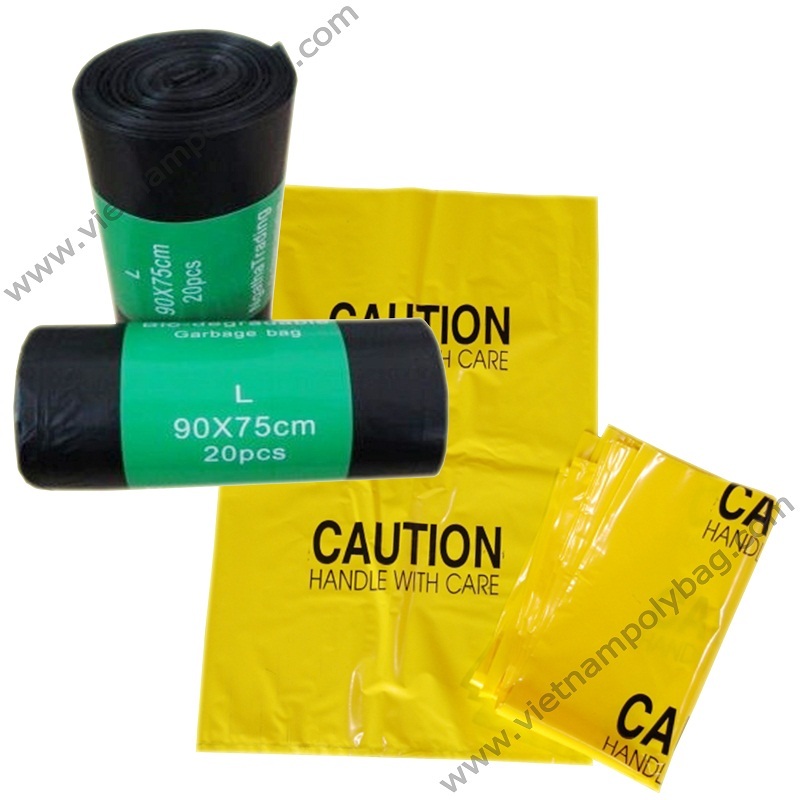 Description: garbage bags are a polyethylene bag used to collect waste in office, home, hospital or everywhere. Material: made of HDPE from 12 micron or LDPE/MDPE from 20 microns and printing up to 12 colors by Gravure/Flexo. Advantage: garbage bags are often made from recycled material so have low cost but they are very strong, durable and offers resistant to water and weather. As their name, garbage bags keep waste bin clean and hygienic by use a tie, strong or just knot to prevent the content leakage. So they are really convenient and hygienic when reduce clean-up time in office, home, industry etc.